Tuesday afternoon has seen the total amount of agents fees paid by Newcastle United over the past 12 months made public. The period covers the last two transfer windows (Summer 2017 and January 2018) and represents all intermediary and agents’ fees paid by clubs during the specified period via the FA’s clearing account. Listed below are the official FA amounts as reported by Rob Harris of Associated Press. As you can see, Newcastle United have spent a massive £7,409,760 in these past 12 months on agents fees. 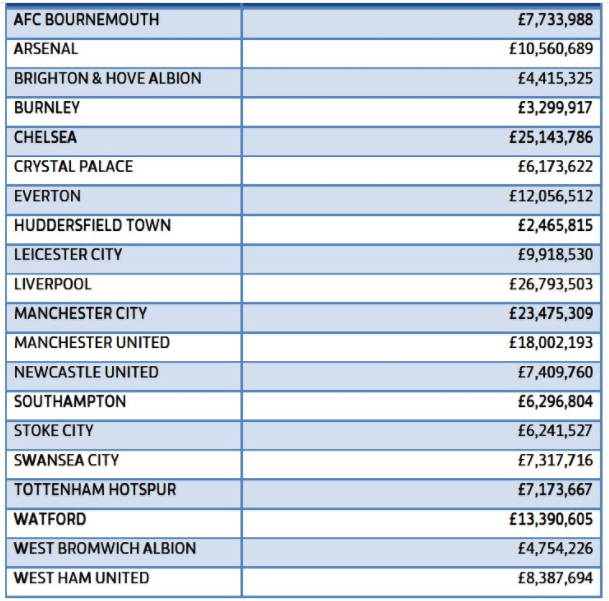 NUFC are 11th highest spenders on agents fees. Maybe the most interesting is the fellow promoted clubs, Brighton spending less than four and a half million and Huddersfield less than two and a half. Those two clubs spending less than Newcastle even when you combine their agents fees, even though both of them spent far more on players than NUFC. In the past we have reported that with Newcastle United only having a skeleton staff running the club, it has been claimed that is why they pay far more than you would expect to agents, to set up deals both buying and selling players. Whatever the truth, it is always depressing to see all that money going out on agents fees. These latest figures compare to £10,449,578 on agent fees between 2 February 2016 and 31 January 2017. However, you did see an amazing turnover of players (in and out) last season, whereas this past 12 months there has only been six (senior) permanent buys, plus the three loan deals in January 2018 (Dubravka, Slimani and Kenedy).